Last year I had my views of the medieval Catholic church smashed into tiny pieces by James Hannam's God's Philosophers. 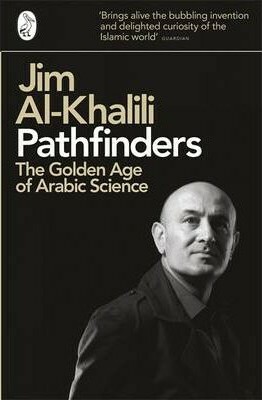 So when I stumbled upon Jim Al-Kahlili's book and read the blurb, there wasn't much chance of me holding on to my money. Oddly enough, this book doesn't challenge my existing views nearly as much as Hannam's does. But then I was already aware that science in the Islamic world was, for several centuries, far in advance of anything the West was coming up with. Although Hannam's book challenges that, Pathfinders reaffirms it. Hannam still did a great job of convincing me that the medieval Church wasn't some terrible system to oppress freedom of thought, but the extent to which the Islamic world advanced science was far greater than anything happening in Europe. Like God's Philosophers, Pathfinders is very accessible to a general audience and obviously intended primarily for a Western readership. It does have some mathematical parts (even the odd simple equation or two), but there's nothing you can't freely skip. Generally speaking, it has less of a theological/philosophical bent than Hannam's book (except for bits about the scientific method). Hannam went to great lengths to spell out exactly what the Church and its teachings did to support and suppress science, directly comparing religious and scientific thinking; Al-Kahlili doesn't really attempt this. For me the book suffers a little because of this. As an agnostic astronomer I work with those of moderate religious leanings on a daily basis, and in the current social climate I don't think it can be emphasised enough : the religious moderates pose no threat to science whatsoever. The book's main problem is that it's slow to get going. Not until page 62 do we actually get anything about the science that was being done in the Islamic world. Until then we're given (with one very important exception) a not particularly interesting potted history of the East and the rise of Islam, and there's very little attempt in the rest of the book to relate the science to the political context. It would have been far better to reduce this to ten pages or less, or mention the politics in passing throughout the whole book. "Gibberish" is a term originating from the 8th century (al)chemist Jibir ibn Hayyan. Although there was no distinction between the two subjects yet (though there soon would be), Jibir "stressed careful observation, controlled experiments and accurate records." He pioneered techniques in crystallisation, distillation, and evaporation. Unfortunately he was apparently a monumentally bad communicator, hence the modern term. 9th century Muslim scientists weren't content with taking ancient Greek texts on faith : they made their own observations to check and improve upon them. They accurately measured the circumference of the Earth (the idea that ancient peoples believed it was flat is pure nonsense) and used an improved knowledge of geometry and mathematics to make massive improvements in cartography. The study of optics in the 10th century was done in such mathematical detail that it wouldn't be improved upon until Newton came along 600 years later. Islamic scientists discovered Snell's Law (no mean feat), understood how light, mirrors and lenses work well enough to design "burning mirrors" to focus light, as well as how the human eye perceives the world. They were even engaging in debate as to whether light is particle or a wave, something which is still not really settled today. Arab mathematicians pioneered the use of zero, the decimal point (it didn't catch on, the numerical system in use was far different to that we use now), algebra (an Arabic word) as a means of general problem-solving, and were deriving formulae as complex as the cosine rule. It may be only GCSE maths today, but deriving it from first principles ? That's tough. In terms of explaining the science that was done in the Arabic world, Al-Kahlili does a faultless job. He also clearly explains how and why Islamic science developed : the translation movement. The early Arabs became obsessed with translating Persian texts into Arabic, which included many earlier Greek texts. The reasons were a mix of political (wanting to integrate with their Persian subjects), mystical (astrological - interestingly, as with chemistry and alchemy, there was a clear divide between astrology and astronomy far earlier in the Islamic world than in the Christian), and practical (e.g. knowledge of geometry for engineering projects). And he puts forward a very reasonable case that Islamic science was ahead of (or at least on par with) European science for rather longer than is generally supposed. There are a couple of areas where he's far less clear and/or convincing. The first is how important the "Dark Age" Arabic scientists were in influencing medieval Europe. There came a point in a book where he mentioned that he hoped he had by now made this clear, but it came as a bit of a shock to me. If that's a goal, he needs to use far more examples and explain them in more detail. It felt to me like the book only really hinted at this, except at the end when he does describe in some detail how useful Arabic maths was to Copernicus and Galileo. The most disappointing part of the book was the severe lack of explanation as to why Arabic science fell (Hannam's book was better in this regard, but still needed more of an epilogue). Strangely, he doesn't seem think it was due to a rise in conservative, fundamentalist Islam, for reasons he doesn't make clear. Sure, he dismisses the argument that Al-Ghalazi alone was responsible for turning the tide - fine. But today in many Islamic countries we do see (as Al-Kahlili himself says) more fundamentalism, and he fails to address how this came about. More convincing is his case that the Mongols weren't responsible, since science continued to flourish in other parts of the Muslim world long after their devastating invasions. He also dismisses Western colonialism, since Arabic science was already in a crappy state by the time Europeans arrived to cause trouble (though he notes that it was in Western interests not to educate their new subjects about their own enlightened past). But the main process he chooses to blame looks very odd indeed : the invention of the printing press. OK, it was difficult to use this for the Arabic script, and early mistakes by Westerners in defacing the Q'ran meant it was rejected for a long time. But that only answers why Western science advanced; it says absolutely nothing about why Arabic science declined. Interestingly, he hints at a shift away from blue-skies research to the purely practical applications (which should serve as a warning to anyone still stupid enough not to understand the value of pure research for its own sake, see below). But how and why this happened are, frustratingly, left completely unanswered. To me, this shift in religious thinking from liberal to fundamentalist is one of the most important aspects of books such as these. A thousand years ago fundamentalism did not, as we are so often taught, dominate thinking in either the Christian or Islamic worlds - where did it all go wrong ? Or to put it another way : screw you, Islamophobes ! But if you refuse to listen to a religious icon, try a scientist instead. If there is a battle-cry of modern science, it is something like, "Rrraaaaarrr ! I don't trust you, myself, or anything except evidence, and even then only provisionally !". 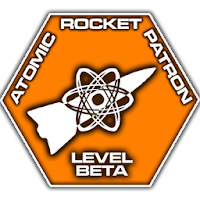 Which doesn't sound like a very dangerous battle-cry... until the atomic weapon takes you out from orbit. al-Haytham clearly understood the methodology of science as well as any modern scientist. I can't add anything to that. All that remains is for me to recommend anyone who thinks they might like this book to buy it immediately, and I hope that eventually he'll team up with Hannam. Together they could produce something really potent. Given the rise of Islamophobia and the ravings of certain educated people who should know better, it can't come soon enough.